Workplace active shooter incidents are on the rise. And though we’ve seen high profile shootings in multiple sectors, retail and commercial bank still remain especially vulnerable. Robust workplace active shooter planning is essential. Not sure how to get started? Or looking to take your current planning efforts to the next level? We’re here to help. 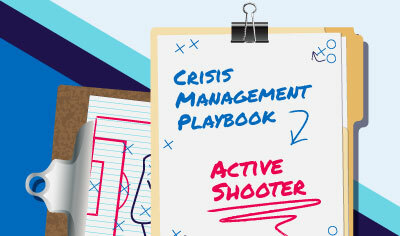 Based on best practices in the field, our step-by-step, how-to guide gives you a detailed template to develop your workplace active shooter plan.